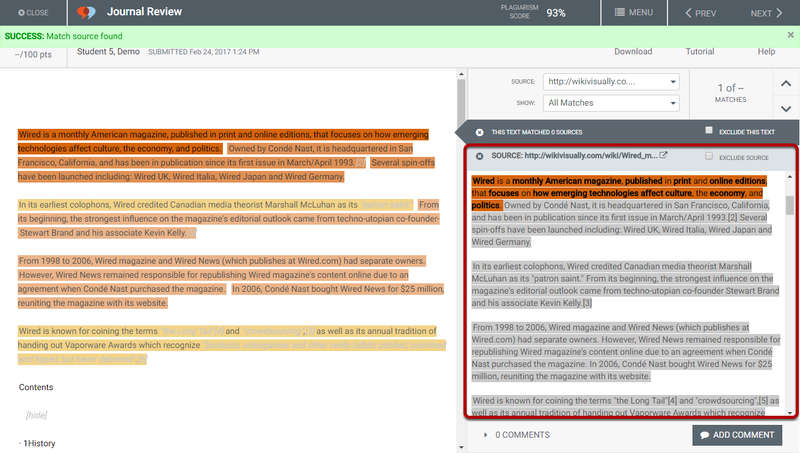 VeriCite DocumentationUser GuidesBlackBoard User Guide Instructor ArticlesHow do I inspect an individual Top Source? 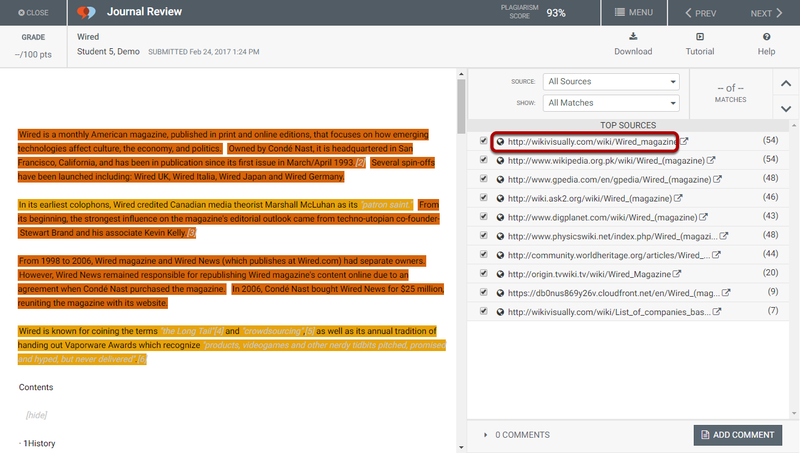 Or, from the Source drop-down menu, select the source you would like to inspect. 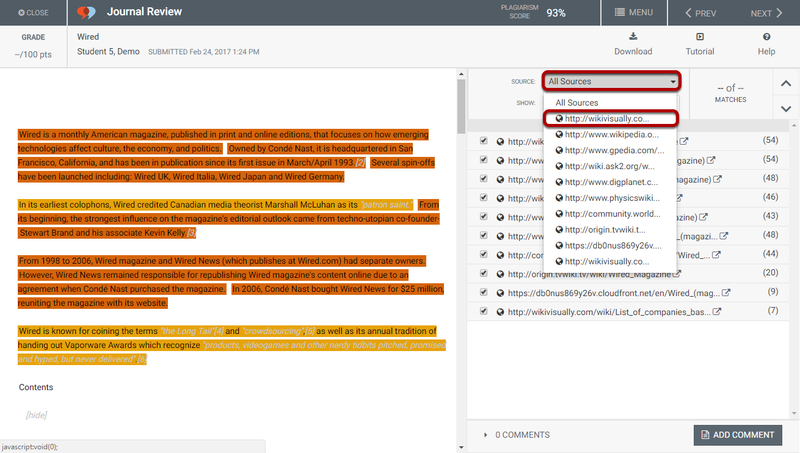 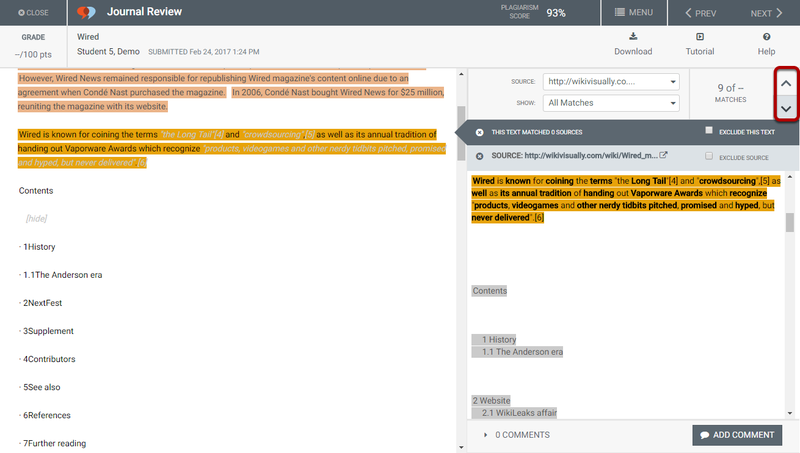 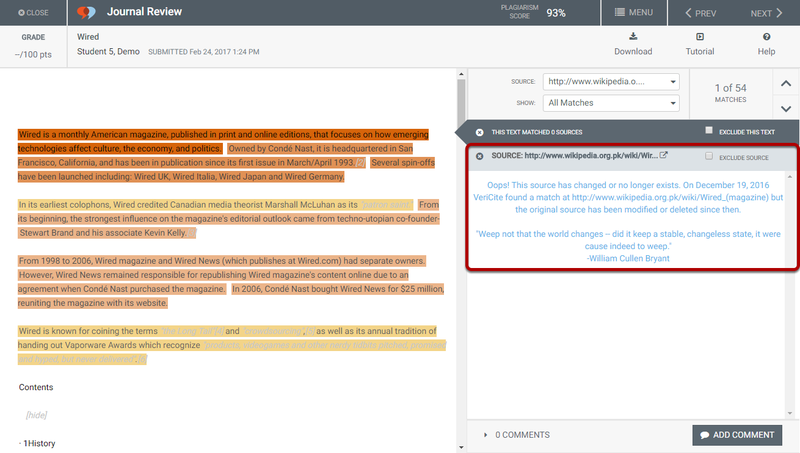 Notice that the highlighted sentence in the student submission is also highlighted in the source text area for comparison. 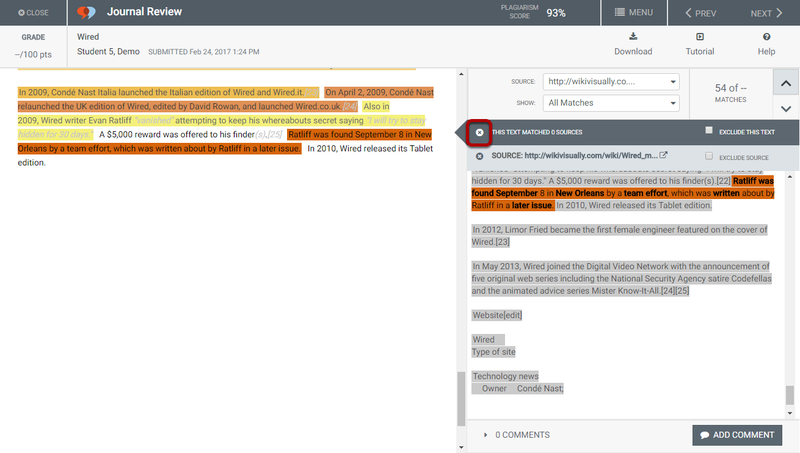 Bold type also indicates the key matching words within the sentence.